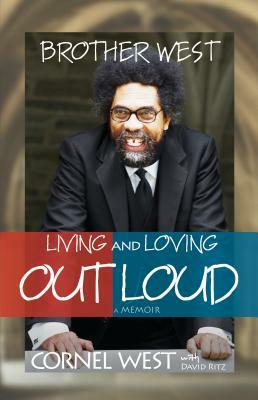 New York Times­ best-selling author Cornel West is one of America’s most provocative and admired public intellectuals. Whether in the classroom, the streets, the prisons, or the church, Dr. West’s penetrating brilliance has been a bright beacon shining through the darkness for decades. Yet, as he points out in this new memoir, "I’ve never taken the time to focus on the inner dynamics of the dark precincts of my soul. "That is, until now.Brother West is like its author: brilliant, unapologetic, full of passion yet cool. This poignant memoir traces West’s transformation from a schoolyard Robin Hood into a progressive cultural icon. From his youthful investigation of the "death shudder" to why he embraced his calling of teaching over preaching, from his three marriages and his two precious children to his near-fatal bout with prostate cancer, West illuminates what it means to live as "an aspiring bluesman in a world of ideas and a jazzman in the life of the mind." Woven together with the fibers of his lifelong commitment to the prophetic Christian tradition that began in Sacramento’s Shiloh Baptist Church, Brother West is a tale of a man courageous enough to be fully human, living and loving out loud. Educator and philosopher Cornel West is the Class of 1943 University Professor at Princeton University. Known as one of America’s most gifted, provocative, and important public intellectuals, he is the author of the contemporary classic Race Matters, which changed the course of America’s dialogue on race and justice, and the New York Times bestseller Democracy Matters. He is the recipient of the American Book Award and holds more than 20 honorary degrees.Award-winning writer David Ritz is the co-author of the autobiographies of Ray Charles, Marvin Gaye, Aretha Franklin, and B.B. King.